RVs make traveling more fun for the entire family! After renting for countless road trips and experiencing the lifestyle, you’ve finally decided to buy one of your own. The only question is: do you buy new or do you buy used? There are pros and cons to each, as well as certain factors you’ll need to consider in order to choose the right one for you. We’ve done all the research for you. 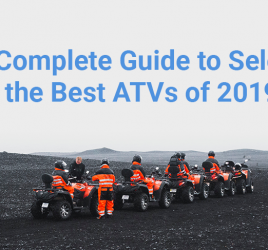 Here’s our ‘new vs. used’ buying guide for recreational vehicles. 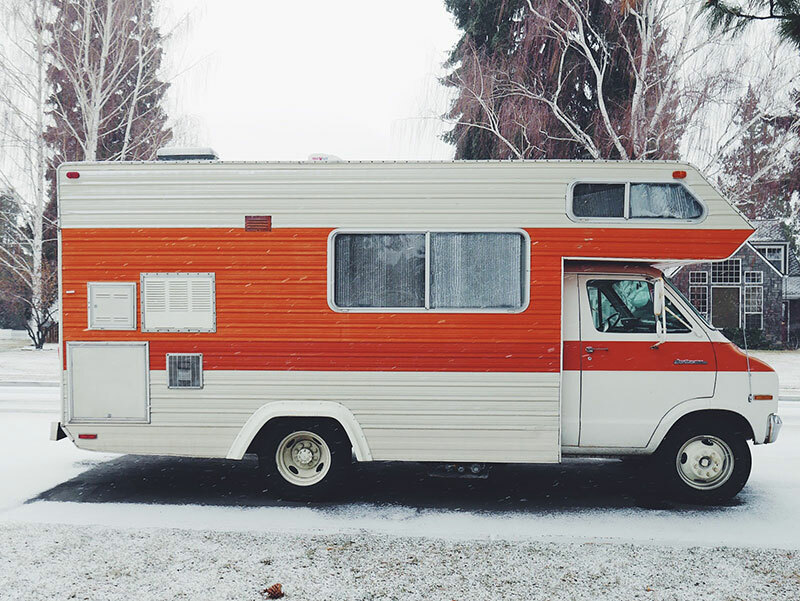 Your decision should be based on more than just buying an RV. For example, you might need to learn how to drive or tow it, how to do your maintenance, when to take it to the shop, and more. 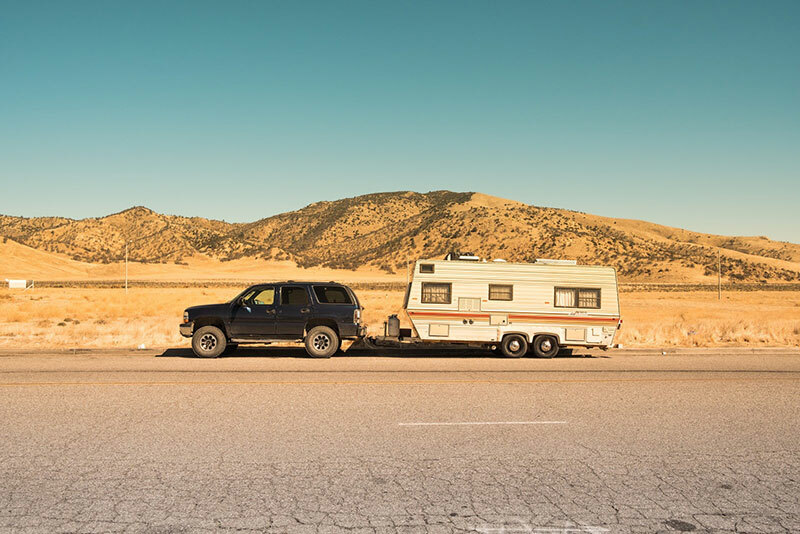 Here are 4 main factors you need to consider before making your RV purchase. 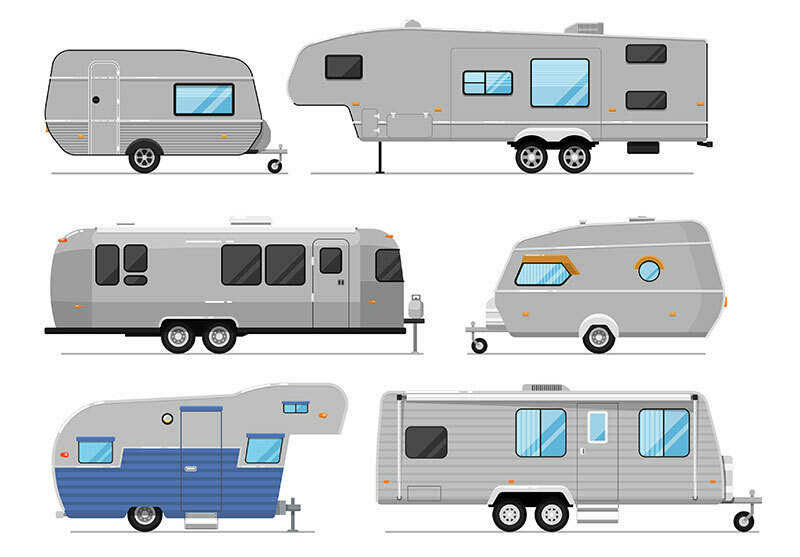 Type: What type of RV are you looking for? 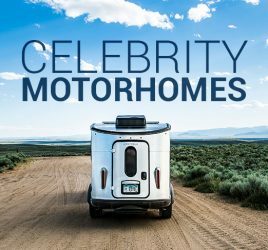 Motorhomes or towables? Pop up campers, truck campers and small travel trailers are the best way to ease into the RVing lifestyle. If you’re looking for more room, investing in a mid to large sized travel trailer or a fifth wheel RV is the way to go. Towables are less expensive and they detach from the vehicle so you can go out and explore or run errands without having to disconnect your electric, sewer and water. Just make sure you have the proper trailer hitch and tow vehicle. 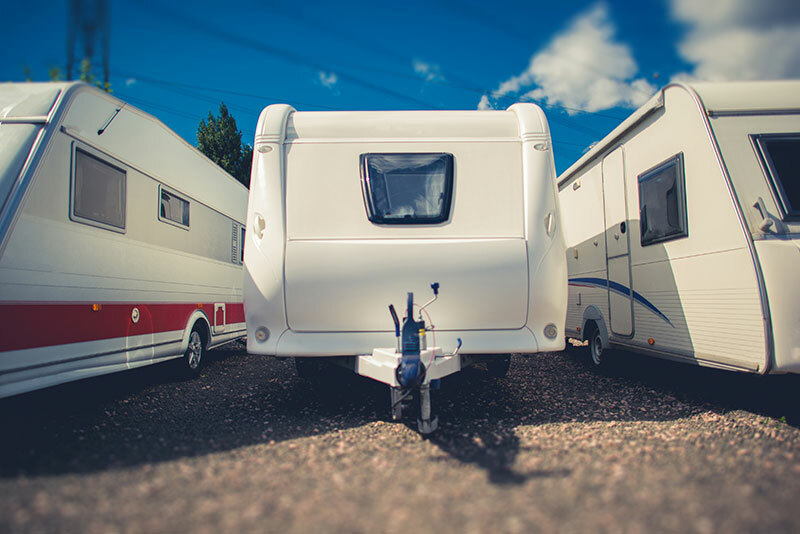 Towables consist of travel trailers, 5th wheel trailers, folding and tent trailers, and toy haulers. Which are you looking for? 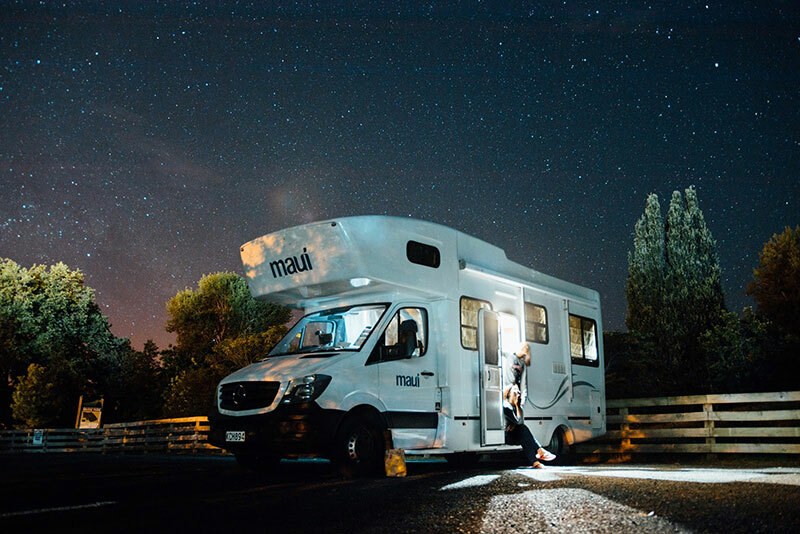 Motorhomes are completely self-contained, easier to set up at the campsites, and have room for your passengers to move about while on the road. 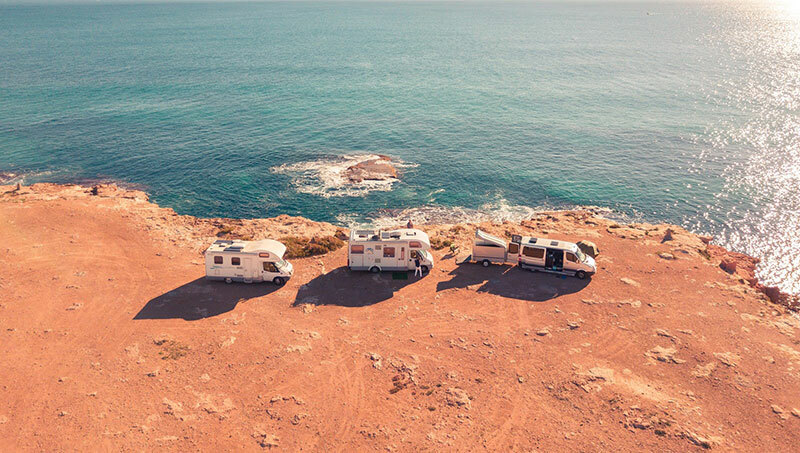 There are 3 different classes of motorhomes: Class A, Class B, and Class C. Class A’s are preferred by full-time RVers,and are the largest (up to 45 feet long!) and probably the most expensive you will find. Class B’s are more like vans that are essentially just basic travel campers, whiles Class C’s are mid-sized RVs that range from 20 to about 35 feet and are typically built on top of a van or large truck chassis. The sky’s the limit when it comes to spending on an RV. So, how much are you willing to spend? On average, new RVs run for about $55K MSRP and used RVs run for about $35K MSRP. This, of course, varies dramatically based on the type and brand of RV you purchase. Condition: What kind of condition is the RV in? New RV’s should be in perfect condition, but if you’re buying used, you can run into some hidden problems. Be sure that the previous owners kept up on maintenance and servicing, as you want to make sure you are making a purchase that is drivable and worth the money. You can view a vehicle’s history report to see what you’re really getting here. Features: What features and floorplans do you want? What are you going to need? Added features and floorplans could come at an additional price. Try looking for a new or used RV that will fit all of your traveling goals so you don’t need so many additional features right away. Keep in mind the size and where you plan on taking it for adventures, and make sure the layout fits your family’s needs! Whether it’s new or used, a motorhome or a towable, it’s important to get an RV that fits all of your traveling needs. 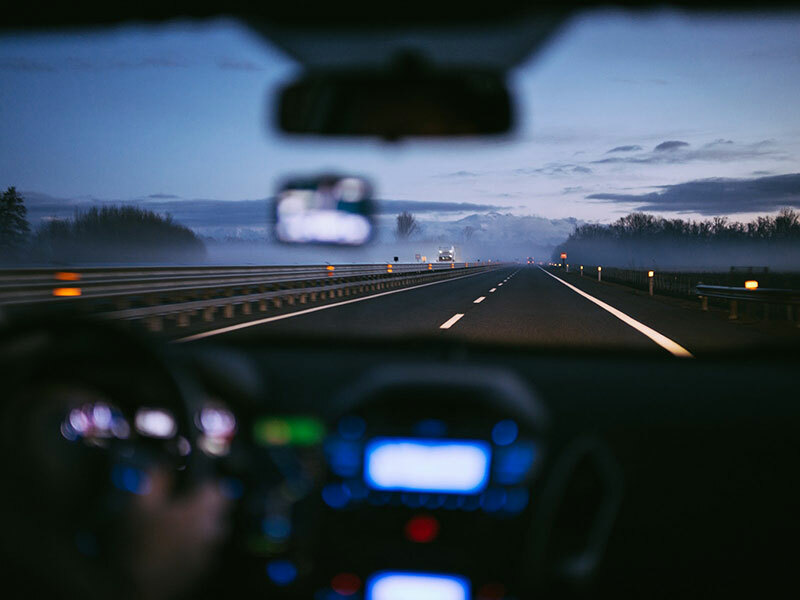 Now that you know what questions to be asking yourself, let’s get down to the nitty-gritty–and that includes driving safety! When you’re buying it brand new, you’re getting everything you need (and want) in a rig, including a limited warranty. However, new RV’s could come at a higher purchase price with higher insurance premiums, which could exceed your budget. New RV’s also start depreciating the second you ride them off the lot, but the same goes for anything you buy new. Remember that if you want something specific, you might also have to go out of your way to have the trailer or RV shipped if your local dealers don’t have it in stock. Pro Tip: If you’re buying new, you can also customize it, but keep in mind that features could get expensive. Dealers have several layouts from different manufacturers already in-stock! A used RV will have a lower price and lower insurance rates, but will typically require more maintenance as you use it regularly. 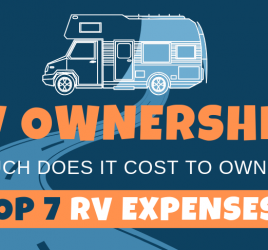 Depending on the previous owner, the RV may also have less worth and less value than a new one. You can look up the RV’s value on NADA, the Kelley Blue Book for used RVs. Used RV’s are heavily sought-after because they are a few years older and more broken-in. This gives new owners a chance to save some money, and they might even have newer upgrades from the previous owners. On the other hand, you never know what might be wrong with an RV before you buy (damage may not be visible etc. ), and you could still end up paying too much. 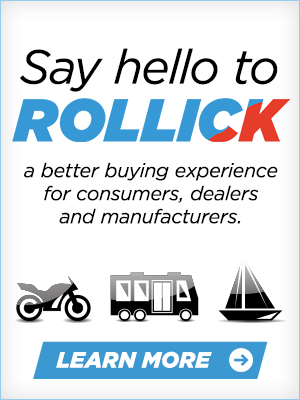 That being said, it’s best (and safer) to buy a used RV from a dealer than a private owner. Warranties are something that might make or break your purchase, depending on what you are looking for. While the manufacturer’s warranty is typically expired on used RVs, new RVs are fully covered. Additional extended warranties can also be purchased through the dealer, which gives you more confidence for your next road trip. So, you’ve decided you want a used RV, but how do you get to choosing the right one and making the purchase? Start off by looking online and visiting your local dealer lots for barely used inventory. Aside from making sure the RV will fit your lifestyle, you need to ask the right questions before making a purchase. Here are some to keep in mind. How well did they maintain it? Do they have detailed maintenance and service records? What is the overall condition compared to a new one? Get to know everything about the RV. You need to know what you’re buying so you can see if it’s even worth it. When starting out on your RV journey, it may be more cost effective to buy a used RV depending on how you plan to use it. 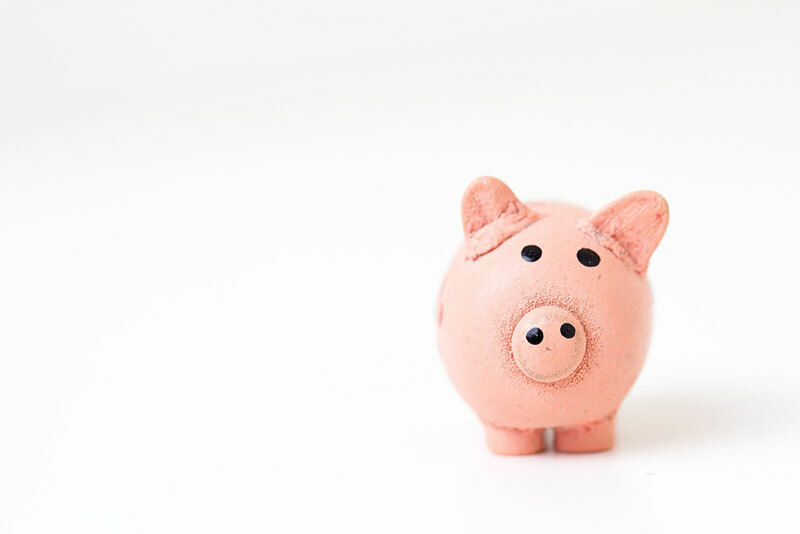 If you are using it frequently, you have to consider the costs of campgrounds, maintenance, repairs, insurance, and more. You also have to consider food when you are on and off the road, and whether or not you will also be paying for entertainment once you park. Just remember to be patient and do your research! RVing is a lifestyle and the perfect RV with the right deal will come along if you are patient and do your homework. Looking for an RV? Check out our nationwide inventory and find the best one for you and your family.